Fred Tomaselli, on view at the Tang from February 6–June 13, 2010, was a major survey that featured over twenty paintings and two-dimensional works by Tomaselli from the late 1980s to 2010. The exhibition was curated by the Tang Museum’s Associate Director and Malloy Curator, Ian Berry, and Director and Chief Curator of the Aspen Art Museum, Heidi Zuckerman Jacobson. During the course of the exhibition, Ian Berry interviewed the artist. The videos above are excerpts from that interview. Artist Fred Tomaselli (b. 1956, Santa Monica, California) is a New York City-based painter who is known for his use of unconventional materials. Tomaselli often works with a collection of plants, pills, and a range of images carefully cut from books and magazines. Pulling from this archive, he creates baroque paintings that combine unusual materials and paint under layers of clear epoxy resin. His collages are multilayered combinations of the real, the photographic, and the painterly. Drawing upon a range of art historical sources from Renaissance frescoes to 1960’s Minimalism, and Eastern and Western decorative traditions such as quilts and mosaics, Tomaselli’s paintings explode in mesmerizing patterns that appear to grow organically across his compositions. He has had other solo exhibitions at the Modern Art Museum of Fort Worth; the University of Michigan Museum of Art; The Fruitmarket Gallery, Edinburgh; Albright-Knox Gallery of Art; Site Santa Fe; and Whitney Museum of American Art. Tomaselli’s work is in the public collections of institutions such as the Museum of Modern Art, NY; Whitney Museum of American Art; the Brooklyn Museum; Albright Knox Gallery; and the Museum of Contemporary Art, LA. Tomaselli, Fred. “Fred Tomaselli on Art History and Personal History.” Interview by Ian Berry. 2010. Tang Teaching Museum collections website, last modified October 26, 2018. 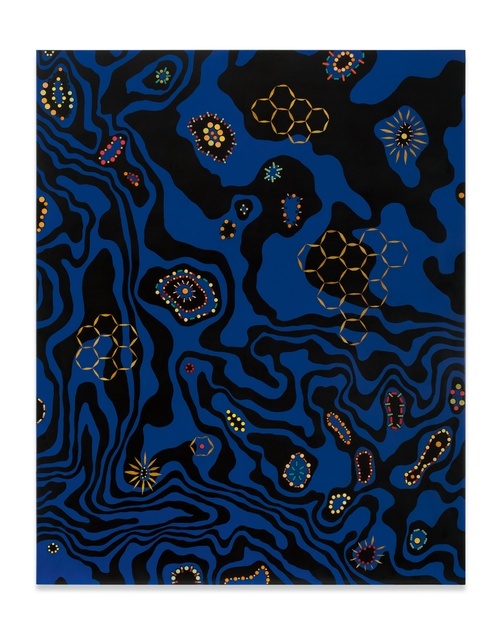 (https://tang.skidmore.edu/collection/explore/53-fred-tomaselli).